Starting an airline business is not so difficult as it seems. There are few things to consider when you decide to get an airline licence and the first one is obtaining an Air Operator Certificate. There are some prerequisites before you apply for AOC. The first one is registration of a air carrier company. You can either register a Bulgarian company or apply though an already registered company, based in another EU member state. The law requires that the company keeps a minimum capital of 160,000 BGN (about 80,000 euros). This capital needs to be put as initial registered company capital. The distribution between the shareholders is not regulated i.e. it can be as agreed between the company shareholders. All the details about the aforementioned subjects are mainly technical and workflow processes documentation and has to be available upon applying. The inspector from Directorate General “Civil Aviation Administration” has to check documentation’s conformity with the current legislation before the AOC is granted. The technical documentation is tailored for the particular company, depending on its size and needs. The air carrier company will also need to have a general third party liability insurance. Estimating costs of such insurance is available only upon request from the client, as it depends on the company size, needs and activity (carrying passengers or cargo). 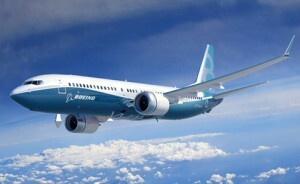 The company will need to have at least one leased or own airplane before it applies for AOC. If the company will be leasing a plane it will have to pay a fee of 1000 BGN (about 500 Euro) per plane, for registering it in the special Airplane Lease Register, held in the Directorate. The state fee for obtaining an AOC is 10,000 BGN (about 5000 euros). The AOC is granted initially for 12 months and can be further extended for 2 more years. Every year after the first one, the company will be subject to thorough checks by the inspectors of the Directorate. The company will have to prove financial stability. This is quite a subjective matter, but generally the air carrier company accounts has to be verified by a certified charted accountant/auditor and the auditor has to confirm that the company is financially stable. The auditor’s fees depend on the particular auditing company/professional. A further quote for this service is available upon written request. After the air carrier company obtains the AOC, it needs to apply for air carrier licence (airline operator licence). This will enable it to actually fly the airplanes. The state fee is 1500 BGN (about 750 euros). The licence term is indefinite, but the air carrier company needs to renew its AOC because it is a prerequisite for holding the air carrier licence (airline operator licence). The fee is the same, no matter if you apply for general licence or area-specific licence. Our fee for handling the process and the work concerning issuing both licences (AOC and airline operator licence) is available upon email or phone request. If you need assistance with the plane leasing documentation (review of lease contracts, make legal suggestions and amendments to the contracts etc.) our lawyers can assist you in this matter too. I live in Iran and I want to establish a airline company in Bulgaria and get aoc and acl. How can you help me on this and how much does it cost? How long does it take time?